Asparagus is a perennial crop that is harvested from early May until late June. We hand pick 8.5 acres worth of organic asparagus each year. We also hand grade our asparagus taking into account the diameter, length and shape of the spear. White asparagus is essentially green asparagus that has not been exposed to light, thus preventing the plant from producing chlorophyll. It has a milder taste and is considered a delicacy in many European countries. Mazak Farms is the only Ontario grower of certified organic white asparagus. Some of our wonderful customers drive 4 hours just to buy our certified organic white asparagus. Despite being used most commonly to create delicious desserts, rhubarb is actually a vegetable that is high in vitamin C and dietary fiber. Some people claim that Shedden, Ontario grows the finest rhubarb in the world, and Mazak Farms is just down the road. 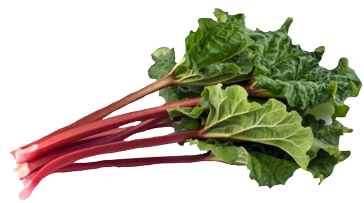 Rhubarb is a celery-like plant with edible stalks. The leaves of the plant are not to be consumed as they are toxic to humans. Rhubarb is available early spring and throughout the summer. Our favourite way to use rhubarb is to make ‘rhubarb juice.’ The kids love it! Available in the late spring, scapes are a becoming an increasingly popular culinary delicacy. 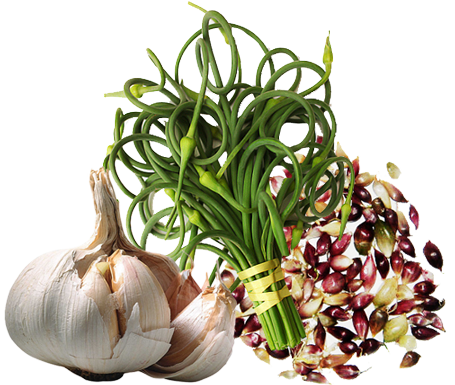 Similar in appearance to a green onion, scapes are offshoots of the garlic plant, that if left to mature, produce the seed pod which allows the plant to reproduce. They are versatile with a mild garlic flavour and can be used in countless dishes such as stir fries, omelets, and mashed potatoes. Scapes are frequently pickled. One of the most common varieties of garlic grown in Ontario. This tried and true variety is a constant producer of a medium pungency garlic that stores well. Music is a hardneck variety with an average of 4-6 cloves per bulb. Ideal for the patient home gardener looking to try something new. Bulbils are garlic seeds produced by the scape of the garlic plant each spring. When the scape is left to mature, the seed pod produces 100-150 bulbils. Using this method to grow garlic rapidly increases your crop and helps to ensure your garlic is ‘clean’ (disease free). Bulbils will be available for both music and elephant varieties in late July/early August. 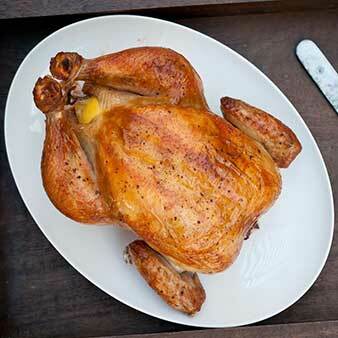 For the 5th year, we will be offering our pasture raised, non-GMO chicken. The chicks arrive at our farm when they are just days old. Once they are big and strong enough, they spend their time with us outside in a moveable pen called a ‘chicken tractor’ that is moved on a daily basis to fresh pasture. The chickens are taken to a government inspected abattoir for processing and return to the farm as frozen whole chickens. At this time we are unable to offer pieces. We are now accepting orders for the 2019 batches. We do require a $10 per chicken non-refundable deposit, and payment in full on the pickup day. Deposits can be sent via e-transfer, dropped off at the farm, or a cheque in the mail. Simply call or email to place your order, orders will only be secured once the deposit is received. The pricing will remain the same for 2019 at $4/lb. We expect the chickens to continue to be around the 6.5lb average mark. Exact weights will be unknown until the chickens return to the farm from the abattoir. Mazak Farms offers picked asparagus so you can enjoy a taste of spring all year long! Using our asparagus, our friends at In a Jam from Melbourne On. 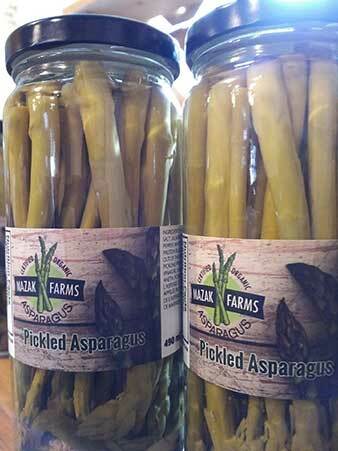 (www.inajam.ca) create fantastic pickled asparagus in two flavours, regular and hot. Regular is a favourite for our children who often take it in their school lunches while the hot flavor is a favourite of the adults who can handle a little ‘kick’. Pickled asparagus is always a great hostess or teacher gift and is excellent as a garnish in a Caesar! The pickled asparagus is available year round here at the farm. Available year round is our farm fresh free range eggs. We keep a small flock of hens that during the spring, summer, and fall have access to outside space and all of the grass and bugs they can handle! During the winter months, the hens enjoy a cozy, cage free, warm life in the 150yr old barn that is our happy little hen house. We sell fresh brown eggs all year. Please call ahead in the winter months to ensure availability as the hens do slow down in the cold months. During the spring and summer eggs will be plentiful. Please note that although our hens are medication free and spend most of their time on pasture, we have not added the eggs to our organic certification. Locally harvested hardwood is available for pick up at the farm year round. We sell the firewood in different amounts suitable for a small fire in a fireplace or enough to heat your home for the winter. 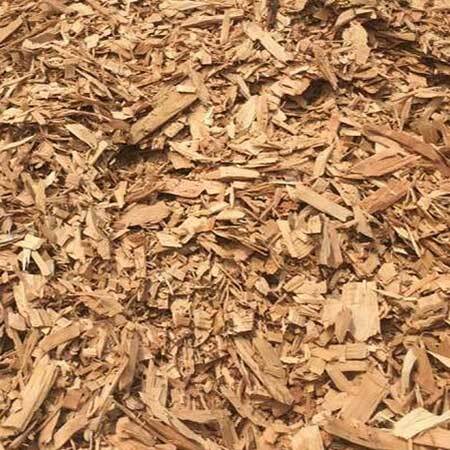 All of the wood we sell is seasoned and ready to burn. All wood is split into pieces that will fit into a standard wood burner. Delivery of firewood is also available year round. All wood is delivered by the face cord via a truck and trailer. Available for pick up or can be ordered for shipping via the online store. Chips available in 1lb and 5lb bags as well as in 20lb bulk bags. Please head to our online store for pricing. Looks appetizing? Our produce tastes even better! Place your order through our online store. Can’t make it to our farm? We ship across Canada!